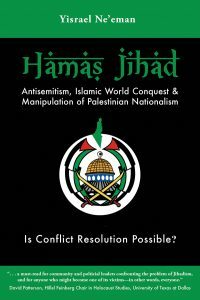 details the historical and current dangers faced by Israel, Jews and the West from Hamas-inspired Jihadi terrorists. It also offers what could be a major solution.There may be a non-violent answer to one of the major problems of the 21st century. Hamas Jihad, shows there is a way to prevent these acts of terrorism carried out across the planet. Although the vast majority of the world’s one-and-a half billion Muslims live peacefully and do not support terrorist activities, there are those extremist groups among the Jihadi Muslim community that are committed to live and die by violence – Hamas, Hezbollah, Al Qaeda and ISIS to name a few. They are driven by religious interpretations and political ideologies. What if the foundation for such violent beliefs could be eliminated or altered?